I've made it back from Africa, but have not made it home to Colorado. The widespread winter storm has prohibited travel. The photo above is taken in Wichita Falls where I have been staying with my parents. 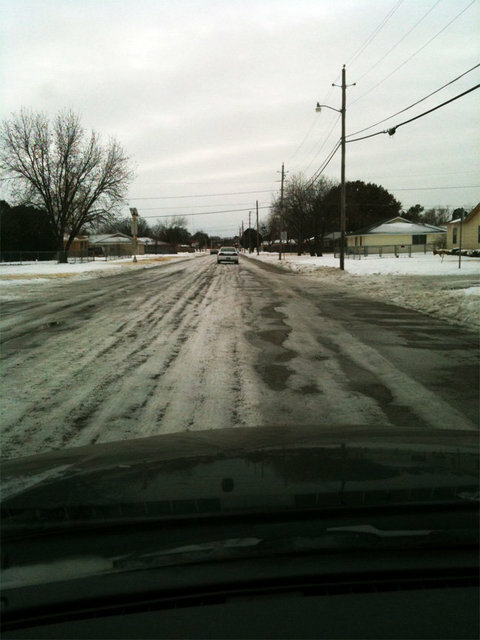 Justin, who has been hauling our truck and trailer back from Florida (we had our seminar there just before leaving for Africa) got stuck in Sherman, TX and the ice was too severe to allow travel. There seems to be a window of fairer weather today and tomorrow so there is hope we can make the journey to Colorado before the next winter storm arrives. Keep your fingers crossed - having been away since January 8th, I'm ready to be home.